Morton's in Anaheim hosts a variety of special events featuring fine wine & spirits, the best steak and a great time! For more information, visit, http://www.mortons.com/anaheim. It was great arrangements by the team. We have enjoyed the great moment to celebrate a birthday. Thank you! We will definitely come back soon. Food (dinner) was amazing, sugar coating on creme brulee was a little too crunchy for me. Our first time dining here and the minute I stepped into the dining area, before I was even seated, I was already disappointed. I didn’t care for the ambience and it was LOUD. Our steaks came out cold so that was also disappointing. The sides were hot, some good some ok. Our drinks were good and our waiter was excellent! Ryan was the highlight of our night, he definitely was attentive and kept us laughing. They did try to make the situation better but we were hungry and didn’t want to wait for our food to be heated again. I’d pass on coming here again. This is the smallest Morton’s I have ever visited. Really cozy feel. People were super friendly and accommodating. Food was outstanding. Food is so-so (fat!) and overpriced. Not impressed. It was very loud..not used to it! Happy with menu selections, filet mignon was cooked perfectly and tender, NY strip was the same. Negroni cocktail well done. They need more zinfandel or primitivo by the glass! Great menu. Food was fantastic. I was actually very disappointed with my visit. Had been telling my wife for years about how wonderful Morton's was, just to be disappointed on our one year anniversary. The service was great! However the dress code not being enforced was disappointing. If I wanted to eat with people in T-Shirts and baseball hats, I'd go to Outback. People pay your prices for the food, service and environment. Steak was WAY over cooked and we were grateful it was comped. Overall, NOT the high level dining experience I remembered from Morton's. Excellent food and service. GM Nate Reulman runs an excellent 5 star Restsurant! 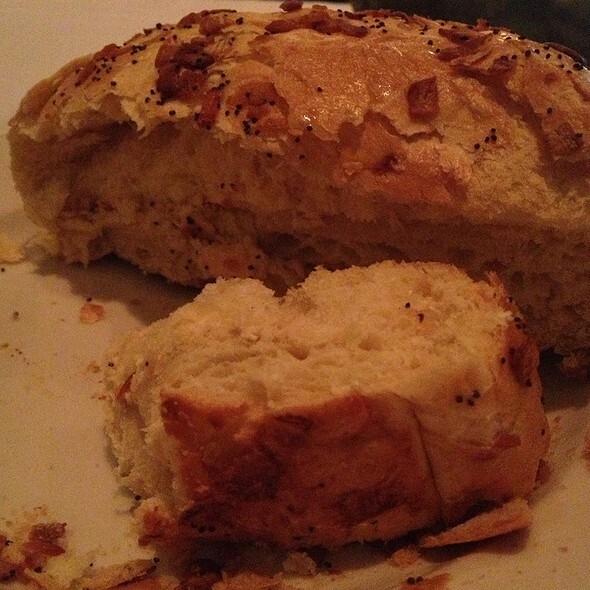 For such an expensive restaurant the bread was unsatisfactory. It was dry and probably old. Brilliant in every way. The service, the food, the ambience. Best rib eye ever! So my sister and I are vegetarians! We had a wonderful dinner and the service was outstanding. Lovely ambience, too. Food was fair but not up to snuff for the amount of money you are spending!!! Birthday but was not recognized. Food was amazing. Service was great! A screaming 2 year old did put a damper on the evening. Worst experience! The restaurant is half a mile from disneyland and the chief waiter came to the table to tell us the guests were upset that my 1 year old baby was crying and that I should quiet him! Like he was a Disney character or a turn on/off toy! I was very surprised there existed a chief waiter because at the beginning of the night our waiter dropped the drinks behind my parents seat and spilled all over their jackets and he didn't show up to notice or apologize. I understand that the other guests were annoyed about my baby's noise but I believe the way the restaurant approached the issue wasn't in the best polite way. I decided or basically I felt forced to leave the restaurant because of the unethical attitude of the chief waiter. If your market strategy is to have a business or high end restaurant half a mile from Disneyland (where kids usually go!) then establish under your reservation standards that kids should not be allowed. By the way this is about my 12 time in a Morton's in the past two years around USA and today was a surpising outstanding show of discriminating children in their facilities and the worst attitude unethical experience and obviously the last time I show up to one of their restaurants. 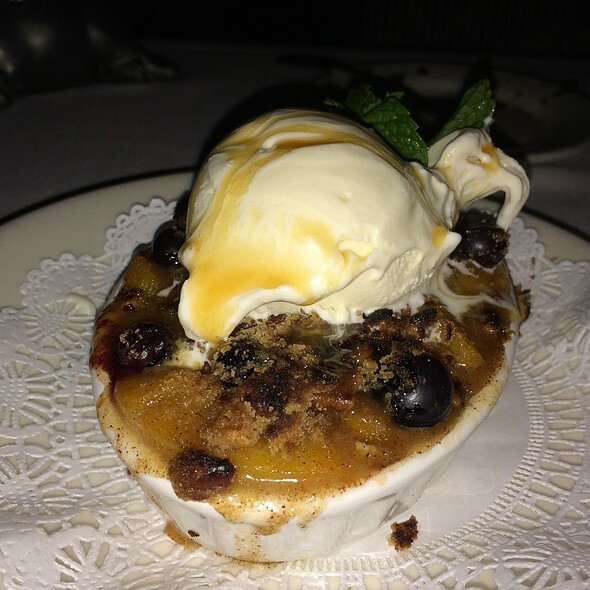 We tried Mortons a second time after having a poor experience with our food. The first time the steak was charred with a burnt flavor on the outside and raw on the inside for medium rare. Went back a second time after speaking with the manager and ordered the same steak. 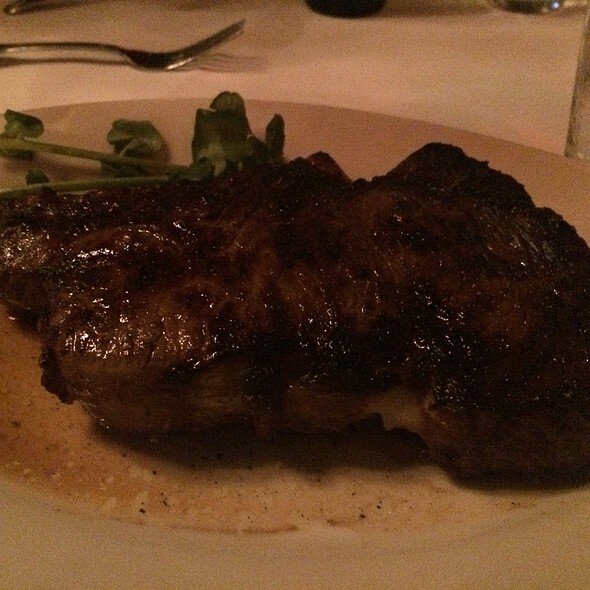 Bone in rib eye. This time the steak was not charred at all, lacked flavor, did not seem to be prime for tenderness, and had what seemed to be broth poured over it. Was very disappointed both times. Something has gone wrong with the way they cook their steaks now. We had to wait longer than usual for our entrees to be served. The Manager came by to apologize for the delay. Understand things can sometimes not work out as planned. Overall was a nice experience. Overall a great experience and fun atmosphere. The food was quality and the service was topnotch. Definitely met expectations. Having a well deserved meal after a very busy week, with good wine and steak cooked and seasoned very well. Had a wonderful time with my family. the tomahawk steaks were incredible. The food was exceptional. There is always a great selection of food. The manager Kristi came by and checked on us. This restaurant is a must go to if you are in the Anaheim area. One of the few high end steakhouses I’ve eatne at that the steak really impressed. Had 7 people in our party and they all said the food was great. Make sure you have your wallet ready though! And the noise from patrons made it difficult to carry on a conversation across the table. Service was superb! Great service and delicious food. We were very pleased. We had a great time at Morton's. Wonderful service and delicious food! Morton’s knows how to treat you very well. 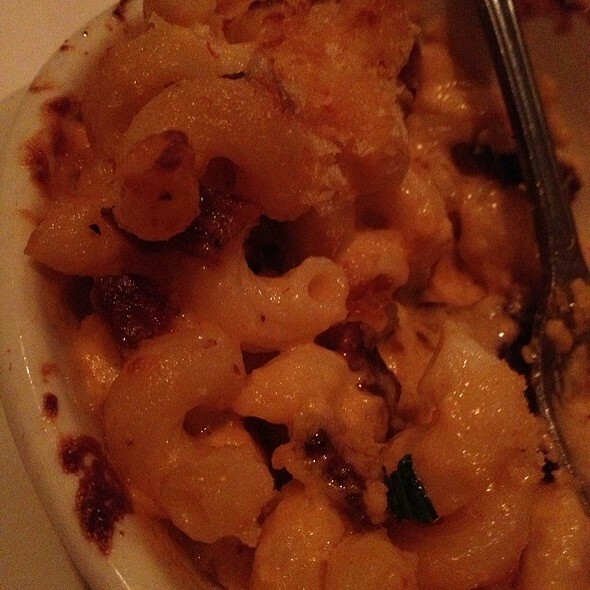 Service and food are always impeccable. The management at the Anaheim location were on top of everything and assure that your experience is memorable. The food was excellent! Yes definitely pricey, but worth it for a special occasion. Our waiter was hard to track down; had to wait around to order and to ask for a few things during our meal. There were too many staff members standing around and talking near our table. When we got our check there was an additional charge for some special butter ($7) to one of the steak dish. I know we didn't order it, but I remember eating it and loving it, so ended up just paying our bill without complaining. The staff was very nice and went out of their way to wish us a happy anniversary. The food was very good, but service was outstanding. The table for two was quite small and too cramped to really enjoy the meal, manage large menus, and feel comfortable, etc. 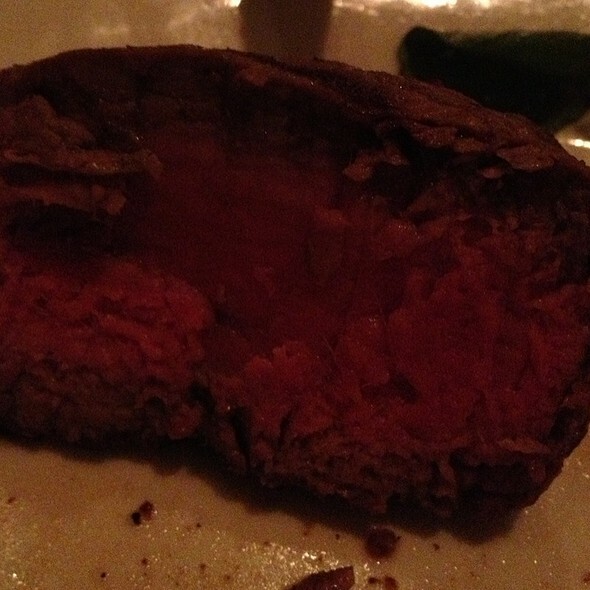 Ordered a steak medium WELL and came cold in middle barely medium rare bleeding all over the plate . Waiter set it down and said Medium Well and I said I I don’t think so let me check real quick came back 20 min later took a manager an additional 5 to make it over ... ruined the meal won’t b back . High end steakhouse should know difference between barely medium rare and medium Well and server should also know a medium well steak doesn’t bleed on the plate . Great service for a large group of 12. Some steaks not exactly cooked as ordered, but everything else was wonderful. Very crowded & loud space. Everything was tremendous. 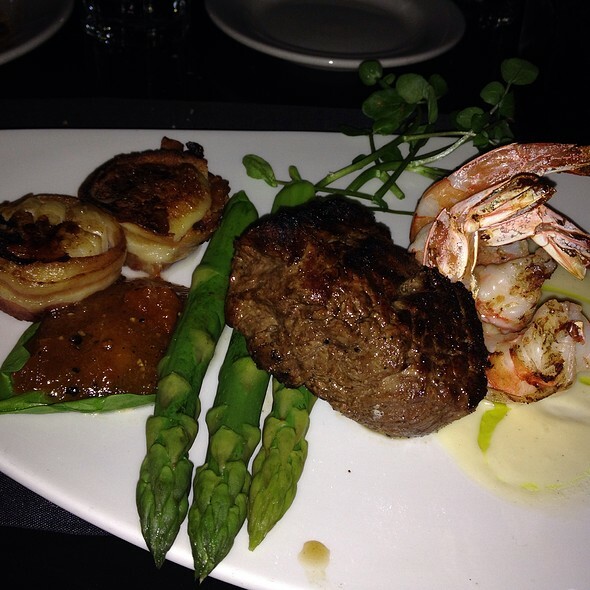 The service was top-notch, the meal was exquisite and the ambiance is everything a steakhouse should be. Thank you for a wonderful time. We made a reservation and we arrived a few minutes before and had to wait 20 + min. We noticed a number of open ya Lea when we finally sat down . The front staff was immature and not professional. I was very surprised at such a well known stake house.